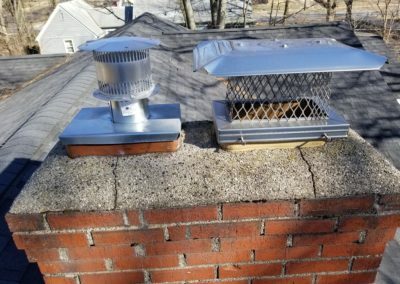 If your chimney does not have a chimney cap on top of it, then your flue will be exposed to all the harsh elements of Michigan weather. Without a cap, rain will go directly into your chimney system. 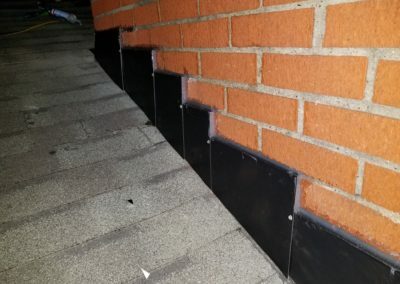 The purpose of flashing is to connect where your chimney and roof come together. It is supposed to keep water from getting into places where it has no business being. Most of the time, we see metal flashing but on occasion we also see tar. Flashing is one of the most common reasons for why your chimney is leaking. 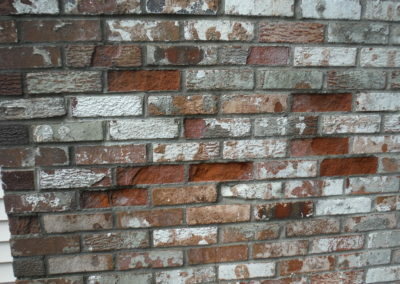 Over time, the flashing deteriorates because of weather. Depending on the type of metal used for flashing, galvanized metal rusts while aluminum does not. The seal at the top of the flashing can dry out over time and crack. Water can settle in between those cracks making its way into your home. Depending on how damaged the flashing is, repairs may include new flashing all together or using a sealant to seal the cracks. The chimney crown is a concrete slab that is designed to protect the chimney from various elements. Most of the time there isn’t a bond break around the top flue tiles where they project through the crown. When the flue tiles expand, and they don’t have anywhere to go, they end up lifting the crown causing cracks. Even the smallest crack allows water to enter the chimney system. Freeze and thaw cycles cause small cracks to expand creating larger cracks. If there are small cracks, a repair option would be using Crown Coat, which seals cracks. If the crown has extensive damage, the repair option would be to remove the existing crown and pour a new one. A crown that has an over-hanging drip edge will help shed water away from the masonry instead of allowing it to run down the bricks. 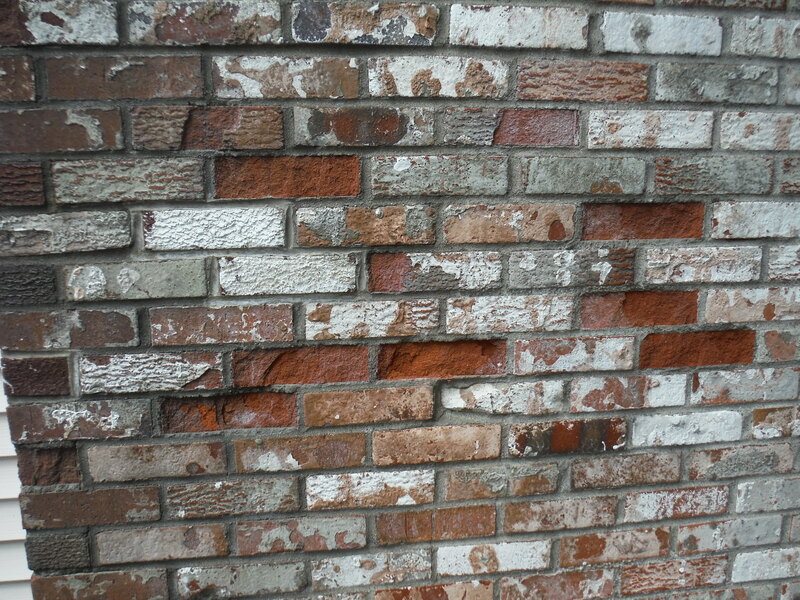 Like the crown, freeze and thaw cycles cause the mortar joints to expand and contract. Water penetrates the chimney system and erodes the mortar. If the missing joints aren’t repaired, the entire chimney could collapse. Repair options include tuck-pointing. The old mortar is removed, and new mortar is filled in. Missing flue tile joints can allow exhaust gases to enter the chimney cavity. This causes moisture to generate on the inside of your chimney. 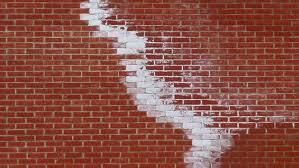 Some indicators of an internal moisture problem are spalling bricks and efflorescence (white staining). Typical repair options are HeatShield or stainless steel liners. Since bricks and mortar hold water, water proofing your chimney with a vapor-permeable water repellant is always a good place to start for preventative measures. If you have assessed these areas and are still experiencing leaking issues, the leaking may not be coming from your chimney. If you are experiencing an issue with a leaky chimney, call us today for an inspection and our technicians will try to determine the source.